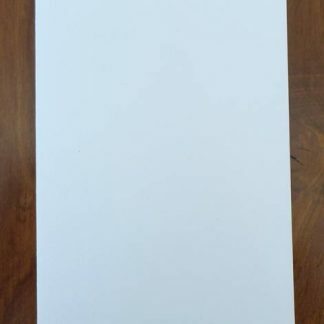 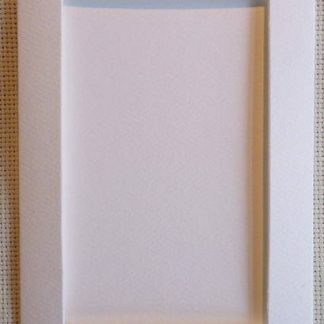 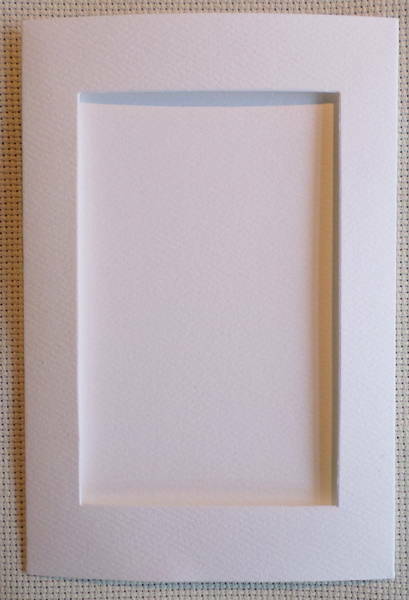 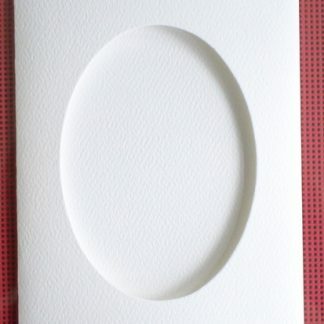 This is a pack of 5 White cards plus 5 matching white envelopes. 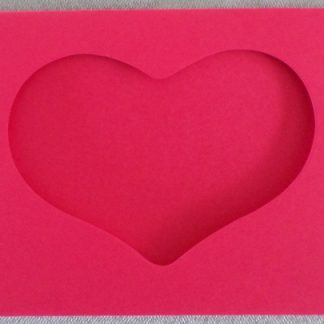 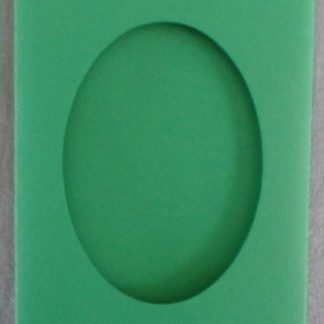 The cards measure 9.5 x 14 cm and have three panels with a Rectangle shaped aperture in the centre panel. 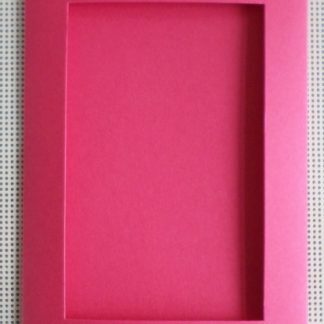 The aperture is 6 x 10 cm.